With the ppt or pdf files, and movies ! 12:10-12:40 : KNUTSON, Temperature Inversions in the Atmospheres of Hot Jupiters: Origins, Characteristics, Consequences. 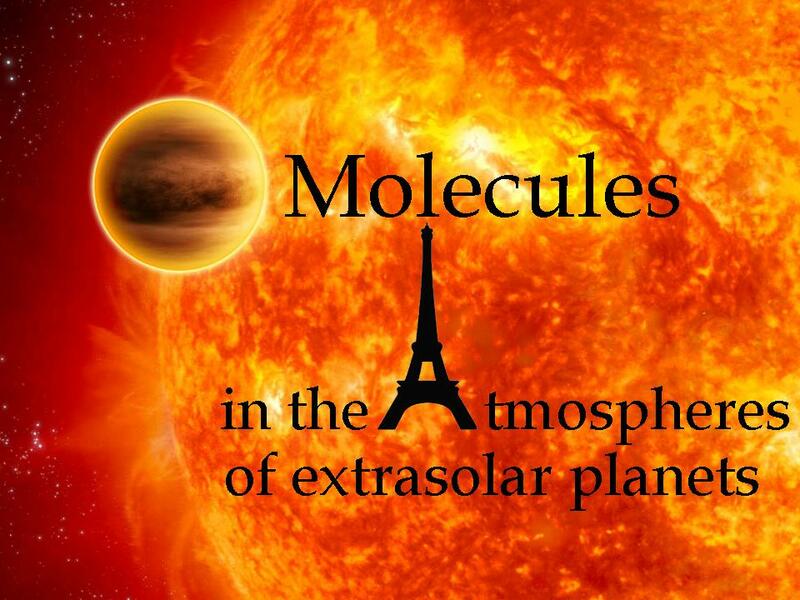 08:35-08:55 : DESERT, Space-based search for molecules in exoplanetary atmospheres. 19:30-23:00 : Reception with dinner cocktail, and wine tasting. 3d) General discussion and conclusions. FREEDMAN & SCHWENKE : Spectrum and opacity of CO2. Comparison of available databases.